Certified biodynamic. 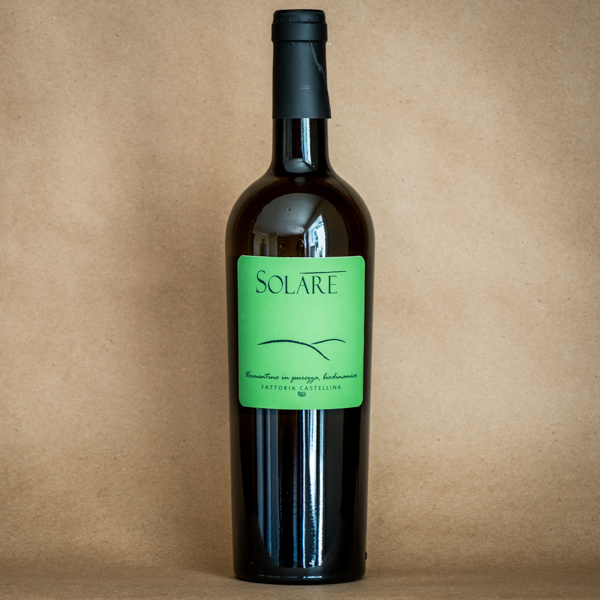 Solare macerates for 2-3 days on the skins at a cool temperature. The wine is fermented using native yeast and aged for 6-8 months in second and third use French oak barrels. It is not filtered. Guyot-trained southwest-facing vineyard with sandy limestone soils, planted to a density of 4,000 vines per hectare. This hillside vineyard faces the sea at an elevation of 250m above sea level. Soil type: Sandy-silt soil with sandstone-derived gravel with a pebble texture. Method of fermentation: The grapes are destemmed then fermented with must for four days. Six months of malolactic fermentation in small barrels then aged in bottle for three months before release. Fattoria is proudly biodynamic in both vineyard and cellar. Certified biodynamic. The precise blend varies by vintage, but a typical year is 50% Sangiovese, 20% Syrah, 20% Merlot, 10% Cabernet Franc. From a three hectare parcel planted on sandy-loam soils at a density of 4,500 plants per hectare. South-facing, 250 meters above sea level. Maceration and fermentation happens in small tronconic barrels made of French oak. I Pogeo stays in these vessels for one year and in bottle for six months before release by the estate. 8,000 bottles made. Soil type: Sandy limestone soil on a southwest facing slope. .5 hectare plot, 4,000 plants per hectare. Elevation: slope faces the sea at 250 meters above sea level. Grapes: 50% Sangiovese, 20% Sarah, 20% Merlot, 10% Cabernet Franc. Method of fermentation: Maceration and fermentation happens in small tronconic barrels made of French oak where it stays for one year and in ages in bottle for six months before release. Certified biodynamic. 100% Sangiovese (some years they add small amounts of Colorino) from a 3.5 hectare parcel planted to a density of 4,000 plants per hectare. The grapes are de-stemmed and macerated with temperature control at 28 degrees Celsius. 35-day fermentation. Aged for sixteen months in large barrels and six months in bottle before release. 20,000 bottles produced. Elevation: 250 meters above sea level. Method of fermentation: Destemmed and macerated in temperature controlled at 28 degrees Celsius. 35 day fermentation with native yeasts then aged for sixteen months in large old oak barrels and six months in the bottle. Extravagantly flowering rose bushes line the entrance to Fattoria Castellina’s cellar. The building is easy to miss, the gated entrance from the state road requires a very sharp turn, the cellar and its heavy metal and glass door are tucked behind a cluster of seemingly unrelated small buildings. Inside stone walls Fattoria Castellina is cool, quiet. There are a series of formal tasting areas and a small product showroom that feels well-maintained but infrequently used. Beyond is an office. The entire facility radiates calm, meticulous care, a sense of order. Fermentation and aging areas are compartmentalized behind heavy doors. The space is small but feels large. High ceilings, intelligent organization, reassuring purpose. It is on the edge of Capria e Limite, a normal small Tuscan town. Sleepy. The road north from the winery is steep, winding through olive groves and past a small, well-maintained restaurant. Near the top is a gravel drive that leads Elisabetta and Fabio Montomoli’s farm. A teenage daughter works in the solar-powered kitchen that serves the agriturismo. Elisabetta’s family owned this land. She runs the businesses, while Fabio is in charge of the agriculture. Eleven hectares of vineyards (including a few old fields planted in the albarello method) are sited among 110 total hectares. The farm has a lot of forest, and reaching vineyards can be an eye-opening off-road adventure. Fabio farms 30 hectares of Frantoio, Moraiolo, Leccio and Pendolino olives and uses older methods (including a manual stone press) to process the oil. They also make pasta di semolato di grano duro varietà San Carlo, a specific local grain, cut with bronze dyes and made into two shapes of tasty dried pasta. Elisabetta speaks often of the importance of local, and the estate is dedicated to organic mixed-use agriculture. Alongside vision, the farm has an exceptional location, equally important to the quality of these wines. Their Vermentino is full-bodied and smells of Mediterranean herbs. It is profoundly shaped by the relative proximity of this western outpost of Chianti to the sea. As we drive slowly along rutted narrow vineyard roads nearly enclosed by wild plants, Fabio and his energetic winery assistant Valentina point out how much of the native vegetation of this region is the same that you would see along the Ligurian and Tuscan coastline. Sea breezes and resulting coastal climate profoundly shape their land, as does the mountainous terrain and elevation. In the age of global warming, Fattoria Castellina makes balanced wines because of their specific, special terroir. 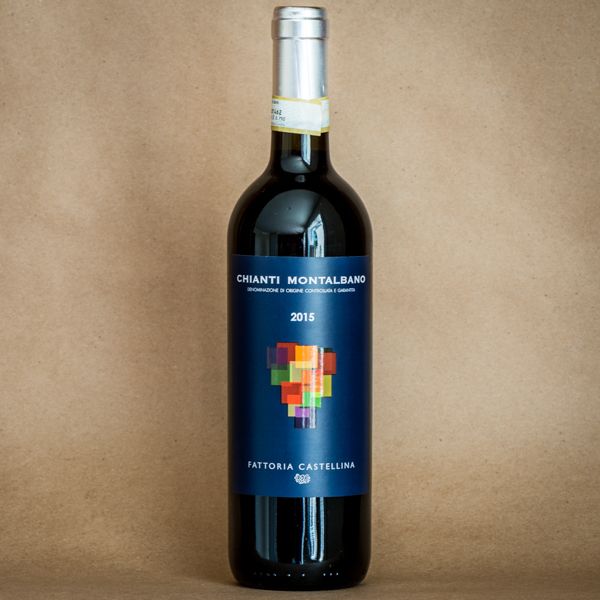 The cool red berry component to the estate’s Chianti Montalbano, a wine that grows in aromatic complexity and appeal after being open 24 hours, is directly tied to the tempering impact of high elevation and the sea on Tuscany’s fierce summer heat. Valentina, articulated her own compelling, engaging beliefs and the level-headed vision of Fabio, who has the long view, patience and work ethic of a true farmer. By the way, they cook a fantastic meal. Mother and daughter sent out a truly epic local feast, amazing, a profound commentary on the best of Italy. I infrequently encounter the perfect realization of my Italian food and culture dreaming, the meal that is out there waiting. Pastas, tarts, cheeses, salads, desserts, amazing cooked vegetables. Sadly beyond words, a timeless labor of love and generosity.